The West Side Historical Preservation Society is looking for a permanent museum home in Austin. The organization is raising funds for the project as it looks to acquire a sprawling vacant parcel on Madison Street just west of Cicero Avenue, said its CEO, Rickie Brown. A West Side museum honoring the area’s people and history has long been a dream of Brown’s. The two-acre site at Madison and Lavergne is the desired location, but Brown said he’s open to other sites. The museum, Brown added, is something the community needs. “We’re trying to get a museum built in order to show our young people the greatness of who they are and the greatness of the West Side of Chicago,” Brown said last month at MacArthur’s Restaurant in announcing the museum campaign. The occasion also marked Juneteenth (June 19), the nation’s oldest commemoration marking the end of slavery in the United States. The proposed three-story, multi-use facility will include a theater, art gallery and multi-media exhibits. Brown also envisions classes offered to the public on such things as African-American food, music and film. “There’s always so much detrimental stories coming out about the West Side, and we are basically trying to show us in a better light,” Brown said. During its roughly 10 years of existence, the historical society has led some community restoration efforts. Most notably was the rescue of the African-inspired Martin Luther King Jr. statue that was on public display at an East Garfield Park apartment complex for decades until the early 2010s. Known as “The Chieftain,” the statue depicts the civil rights leader as an African warrior king. In need of restoration, it was removed by order of city inspectors and placed in storage. Brown was able to obtain it from MLK Plaza Apartment management. The statue was relocated to the front entrance of Westside Health Authority’s Chicago Avenue office in 2015. The statue, which first went on display in 1977, would likely be among the museum’s historical artifacts. U.S. Rep. Danny Davis was among the public officials who supported the statue’s rescue and is also backing the proposed facility. “The museum certainly will be an attribute and help our children learn a lot of things that they otherwise would not know,” said Davis, who was among the breakfast attendees last month. State Rep. La Shawn Ford, another attendee, said the state might be able to help fund the museum project, and that any capital dollars would cover a new building or renovation of an existing one. 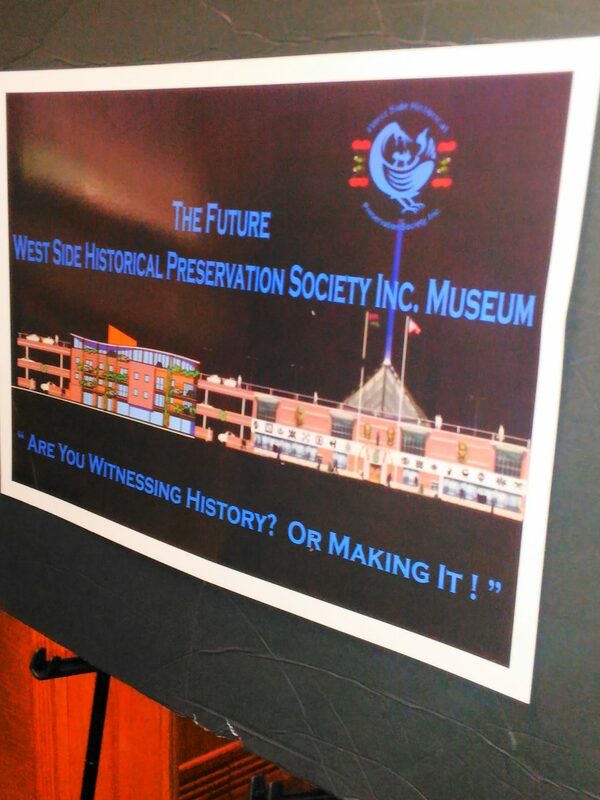 The proposed museum also has support from the North Lawndale Historical and Cultural Society. Its chair, Blanche Killingsworth, who’s known Brown since grammar school, said she shares his vision of preserving and honoring the area’s history. “As Rickie says, ‘You better know who you are.’ Remember, you were kings and queens before you became slaves,” she said. The vacant Madison and Lavergne site previously housed the Grand Motel West, which was demolished in 2013. Brown, however, said they’re open to building at another location that’s available.